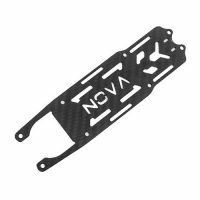 The SKITZO Nova has a little cousin! 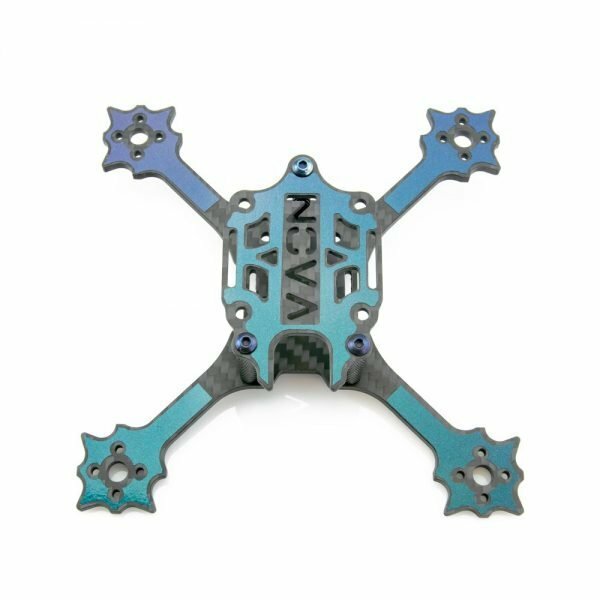 The Nova 3″ Frame shares many of the same features as the full-size Nova, such as the True-X layout, 3K high-quality carbon, arm spikes, and of course a beautiful color changing skin! The frame features a 3mm unibody design that fits up to 3″ propellers. 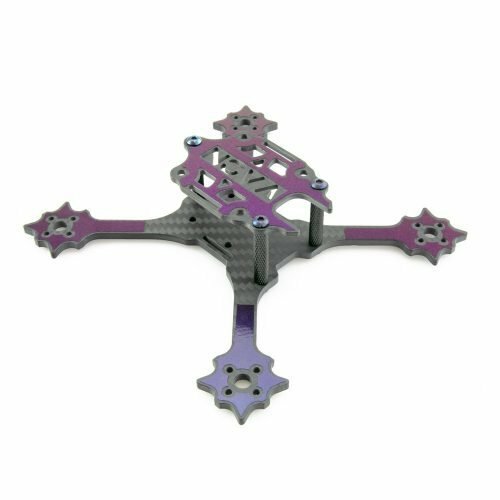 Another great feature is the frame’s ability to top or bottom mount a battery. 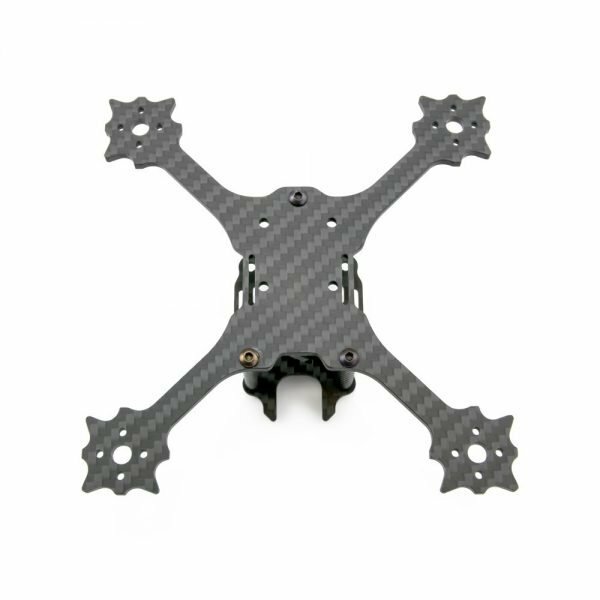 If you bottom mount your LiPo, you are free to strap a GoPro on the top and make an awesome 3″ freestyle quad! 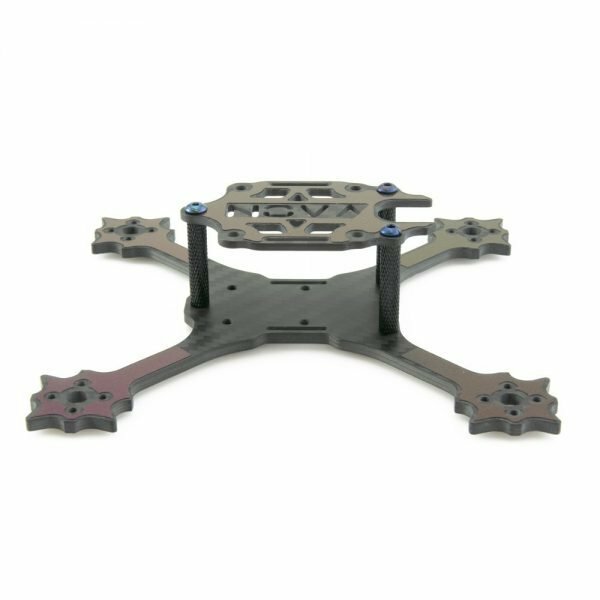 It is also designed to easily fit the RunCam Split Mini for full HD recording of your flights without the need for an additional heavy HD camera. The Nova features Skitzo’s original artwork in the custom sticker sheets. 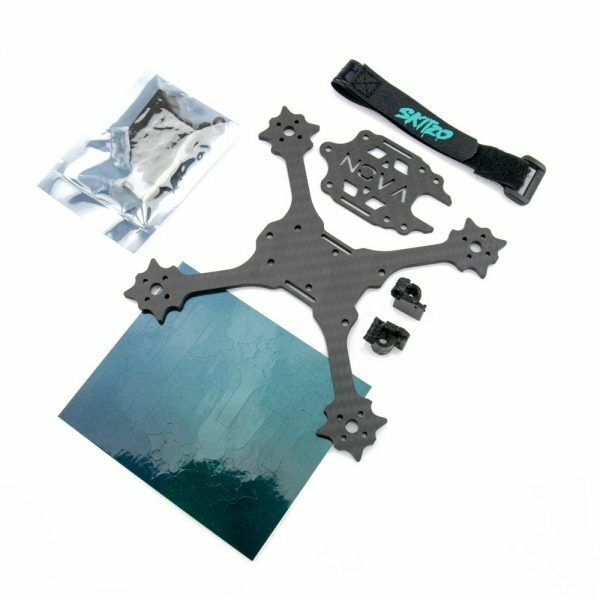 Each SKITZO kit comes with a complete airframe sticker set.